Great win for Selby U15’s! 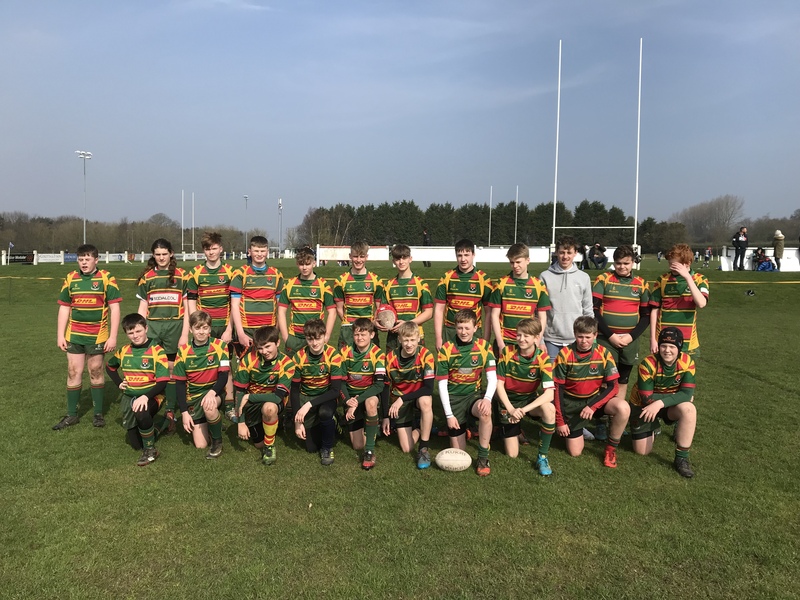 Selby’s U15s Boys stepped up a gear in opposition on Sunday and travelled north to play a familiar and ‘equally-matched’ Ripon side. The game started well for Selby who dominated forward play in their half with drives, passes across the pitch and power in the scrums to win balls but were held from the line by a strong Ripon response on several occasions. Finally a pass found Bishop who was able to run down the wing to score. Both teams were tired after the first half pitch battle. Ripon were the first to rally their troops and found a gap through Selby’s defences, scoring twice in succession with two further conversions. The score was 14-5 but Selby were not giving up. With 5 minutes to go, Selby’s push forward found Hardegon’s hands who raced across the corner line to score. This left the score at 14-10 with the Selby supporters hoping for a further try to win the game and good defensive play to prevent Ripon finding the line. This belief was rewarded in the dying minutes of the game as Barlow received the ball and dived for the line to score. Final score 14-15 to Selby. Selby’s try scorers were Bishop (1), Hardegon (1) and Barlow (1). Conversions taken were unfortunately unsuccessful. This match was a great consecutive win, bringing team confidence as the U15s prepare for a challenging game against Sheffield away on Sunday; a fast and strong team, unbeaten in previous encounters.